A Minnesota title company has been fined for an alleged kickback scheme involving boat cruises attended by real estate and mortgage professionals. It’s unclear whether action will be taken against the real estate and mortgage pros who accepted the cruises. Those pros may also be on the hook for allegedly participating in unlicensed activities. The Minnesota Department of Commerce has levied $50,000 in fines and penalties against a Minnesota title company for allegedly providing boat cruises, food, alcohol and other gifts to real estate agents and mortgage loan officers in exchange for the referral of business. According to a cease-and-desist order issued by the department on Aug. 12, TitleSmart Inc. of Maplewood, Minnesota, and its president and owner, Cynthia J. Koebele, allegedly violated the prohibitions against kickbacks between settlement service providers in Section 2707 of the Real Estate Settlement Procedures Act (RESPA), as well as state insurance laws. 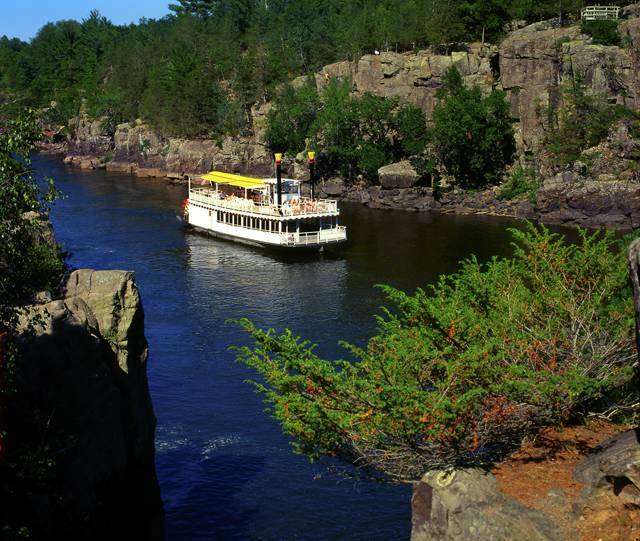 Specifically, the department took issue with two boat cruises that TitleSmart hosted in 2012 and 2013 on the St. Croix River, which 243 mortgage brokers, loan officers, real estate salespersons and real estate brokers who were in a position to refer business to the company attended. The department knows down to the penny how much the title company paid for the cruises. According to the consent order, TitleSmart paid $14,297.87 to provide the 2012 attendees with the cruise, food, alcohol and door prizes; the 2013 cruise cost $19,854.35. According to the order, after the 2012 cruise, 67.95 percent of the transactions closed by TitleSmart were referred by someone who attended the cruise. That figure increased after the 2013 cruise, when 74.93 percent of TitleSmart’s transactions were referred by attendees of that event. Still to be determined is whether the Minnesota Department of Commerce and other state regulators will take action against the real estate and mortgage professionals involved in the alleged kickback scheme. Such actions often take aim at the title companies in these arrangements — or the “givers” of kickbacks — but those in a position to “receive” kickbacks are not targeted nearly as much. RESPA Section 8(a) prohibits any person from giving or receiving a thing of value for the referral of settlement services in connection with federally related mortgage transactions, so both entities may be on the hook if their conduct does not pass the RESPA smell test. According to Samuel Gilford, a spokesman for the Consumer Financial Protection Bureau (CFPB), which oversees and enforces RESPA on the federal level, the bureau was not involved in this case. It is not unusual, however, for state regulators to take action against settlement service providers for violating RESPA. Federal regulators routinely work hand in hand with state authorities on these cases, and they often piggyback on action taken by their higher-level counterparts and take additional action afforded to them under state law. “The boat cruises, food, drinks, and gifts constituted payment of commissions or valuable consideration for negotiating or soliciting insurance,” the department alleged. “We did propose the cease-and-desist consent order term so as to bring about an amicable resolution to the department’s marketing concern and concentrate on what TitleSmart does best,” Miller said. The department’s order calls for the company and Koebele to jointly and severally pay a civil penalty of $45,000. Of that amount, $20,000 may be stayed if the companies do not violate RESPA for a period of two years. The company must also pay an additional $5,000 in investigation costs. “As a company, we are disappointed that the state is disallowing our use of a boat cruise as an allowable networking event,” Koebele told Inman. Koebele recently won an Ernst & Young’s Entrepreneur of the Year award for the Upper Midwest region. TitleSmart, which offers title, escrow and real estate closing solutions, opened its first office in Maplewood in 2007, and now has six other offices in Apple Valley, Blaine, Edina, Maplewood, Uptown Minneapolis and White Bear Lake. The company is a member of the Minnesota Land Title Association, the American Land Title Association and the Title Action Network, and its policies are underwritten by Stewart Title Guaranty Co.